In January 2012, Alba and business partner Chris Gavigan launched The Honest Company, which is a collection of toxin-free household goods, diapers, and body care products. Giving birth to her first child in 2008 and dealing with her own childhood illnesses in her past, inspired Alba to build a company with alternative baby products that would rid harmful toxins such as petrochemicals and synthetic fragrances. "I founded The Honest Company on this idea: Everything that touches you and your family--everything in your home-- needs to be nontoxic, needs to be effective and beautiful to look at, and needs to be affordable." Did you know Americans produced 250 Million tons of trash in 2010? This overwhelming number may have been lowered if all Americans used a compost bin. What is a compost bin you ask? A compost bin or pile, is full of decaying organic material that can be used as plant fertilizer or soil supplement. Microorganisms break down organic materials which produces the “compost”. What this means is that probably about half of the “stuff” an average American throws away is compostable. Items that you can compost are fruits, veggies, egg shells, coffee grounds, tea bags, shredded paper/cardboard, dead leaves and many other organic products. Items to stay away from adding to your compost are pet waste/cat litter, meats and bones, dairy products, fats oils grease and lard, coal/charcoal and anything treated with pesticides. Here is an article to help you get started. Going green is a life choice that many make when they realize all people could be doing more to help this planet or they do it for the simple fact that they want to save money. Either way these people who’re making this life choice are taking that extra step and little by little it is helping this Earth. But where do we start? This question can be overwhelming as there are many everyday life choices that can be changed when making the transition to live sustainably. Through my experience, taking small steps to acquire this lifestyle is what works best. Writing down goals is the first step. Start with monthly goals that state a couple of small things you want to successfully change by the end of that month. For example, begin with using cloth shopping bags and metal or glass water bottles. After the month is over, you can assess how you did and either add some goals for next month or take some off the list that you had trouble accomplishing right away. Once you catch on to this process of assessing yourself each month; before you know it you’ll be a sustainably saved soul passing on your own “green” advice. Here are some additional goals to help you get started. As the kids participate in various fun (and messy) activities/sports this summer, I got thinking about the extra loads of laundry I’ve been doing and the money I spend on detergent every couple of weeks, which can cost around 14.00$ each time! When browsing on the web, I came across a bunch of different sites showing people how to make their own sustainable laundry detergent and I thought to myself, YES, this will be my next experiment! I found a mix of ingredients that creates an all natural washing powder and figured I would give it a shot. Here are my Ingredients, Instructions & Results. 5th- You are ready to start your first load! Before testing out the detergent, I was worried about how it would come out (the smell, cleanliness ect.) After the first load, I was really happy with the outcome! My clothes were not only clean but also had a fresh clean smell to go along with it! The part I am most excited about is the money I will be able to save using these ingredients! I am happy I tried this but also a little disappointed in myself for waiting this long to do it. Full Story with more Pics! Looking for environmentally sound places to travel? Here are two unique vacation spots you may want to visit in your lifetime. This is Bella Vista! 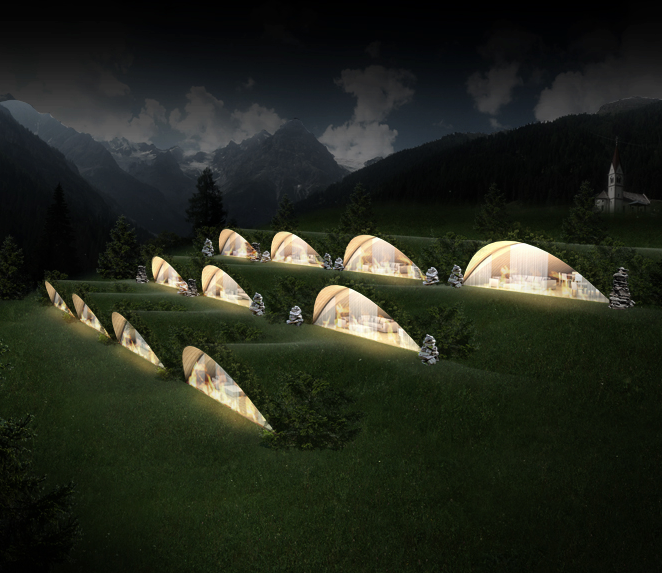 It is an underground Eco-Friendly Hotel in Bozen, Italy! Sustainable heating and cooling are some of the highlights of these “underground” dwellings. This is a picture from Xcaret, which is an Eco-friendly park on the outskirts of Cancun Mexico. The owners of the park made sure to work around the existing economy to build attractions including, a butterfly pavilion, underground rivers, swimming with sea turtles, coral reef aquarium, a night show, and various activities also including lagoons and pools. Is Eco Coffee Cup Your Cup of Tea?